Where: Vista Room, Discovery Hall, Building 3400, Richland WA. Get directions with OpenStreetMap or Google Maps. When: Jul 19-20, 2018. Add to your Google Calendar. Contact: Please email jeremy.zucker@pnnl.gov for more information. To register for this workshop, go to your PNNL training page at https://elm.pnl.gov, and select the “Self-enroll tab” in the upper right-hand corner. 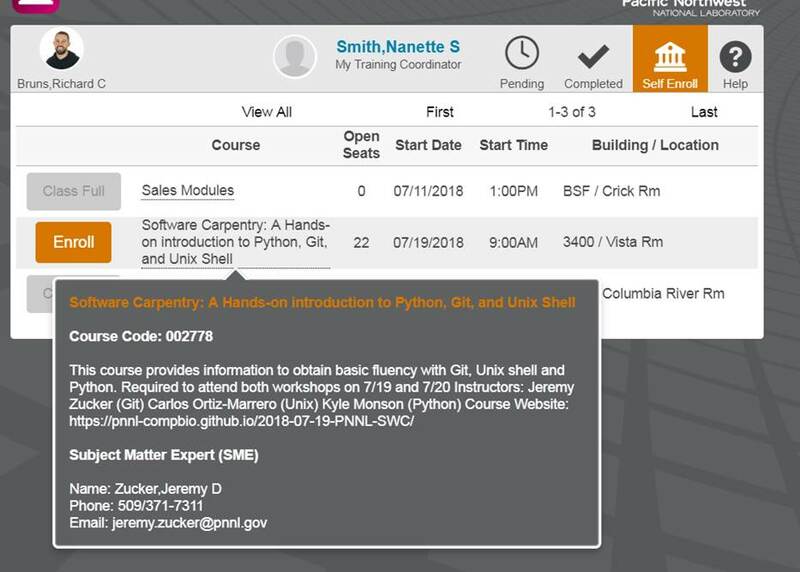 Next, find the Software carpentry workshop and click enroll. Once you have enrolled, click on the "Pending" tab and enter a work package number under "charge code" to cover the $451.55 cost of the course. 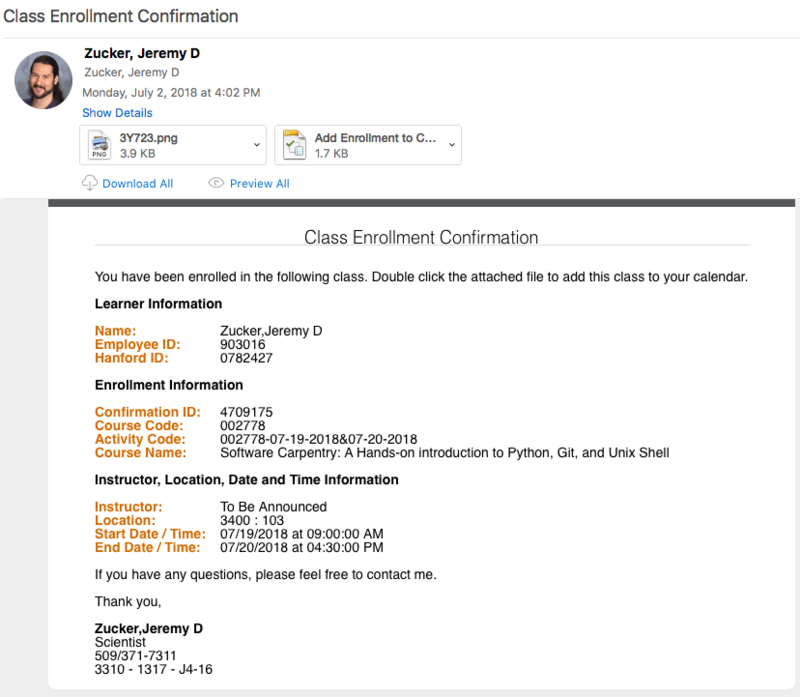 Lastly, you should receive an email confirming your enrollment. If you did not enter a charge code, you will still be registered for the course, but a Training Coordinator will contact you before the course starts to obtain a charge code.